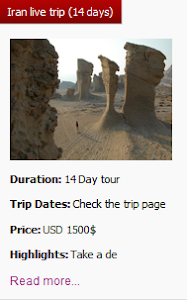 Got our suggested checklist for that Iranian trip of a lifetime? 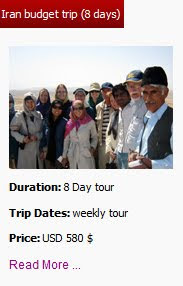 Passport, camera, cool sun glasses, suitable dress and that appetite for Iranian food. 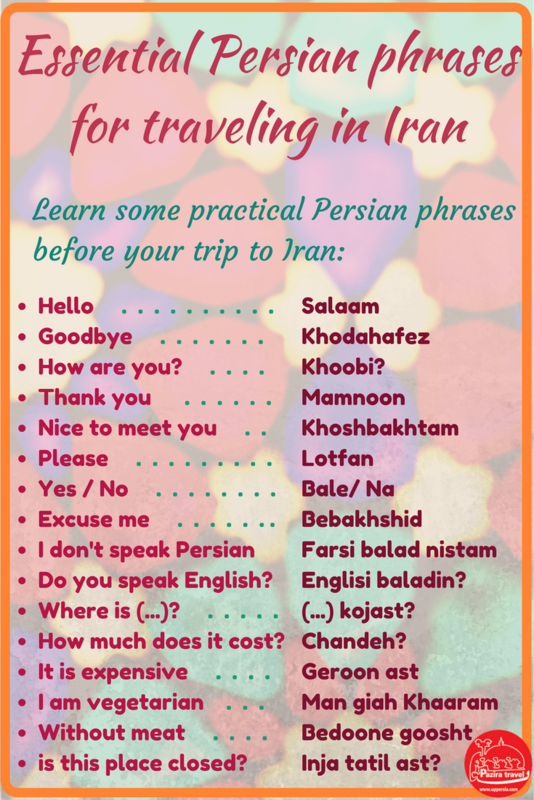 How about a bunch of Persian practical phrases? 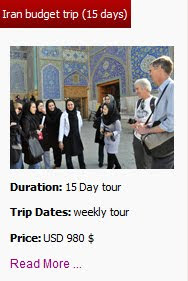 Needless to say, Iran as a sought-after destination, with hospitable and friendly people welcome foreigners warmly. 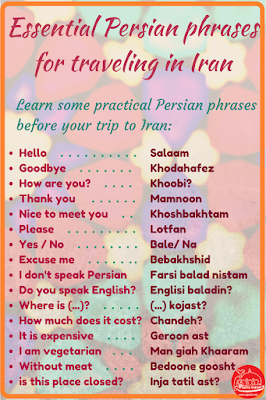 Uppersia suggests you putting this traveler's cheat sheet in your pocket to help you prepare for those common situations travelers find themselves in or enjoy the chance to converse with locals in Persian. 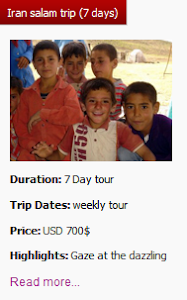 is it Urdu? as some words are very similar to Urdu language.